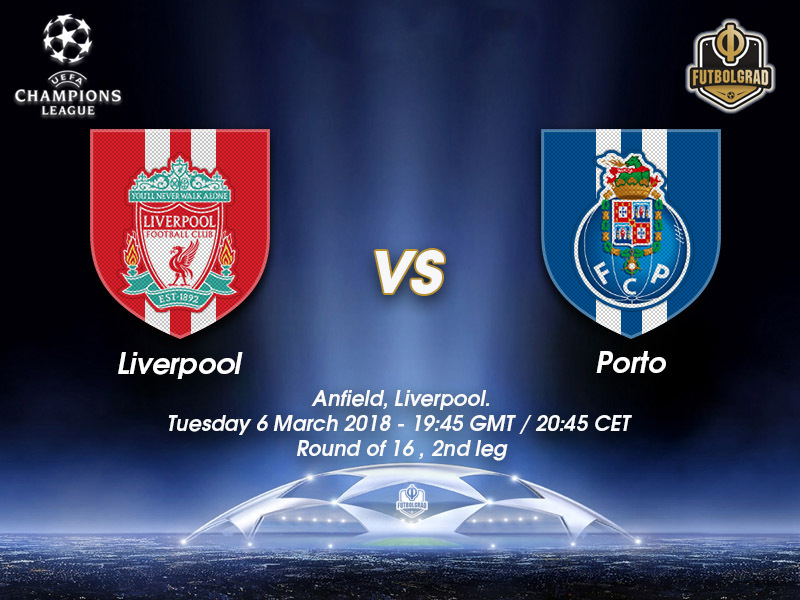 Porto travel to Merseyside in need of a miracle, Liverpool inflicted the Portuguese side’s worst ever defeat in the UEFA Champions League on the last Matchday. Sadio Mané scored a hat-trick whilst Mohamed Salah and Roberto Firmino were also on target to leave Porto effectively playing for pride (and a first win against the Reds) at Anfield – their five-nil defeat equalled the biggest first-leg margin in the UEFA Champions League era. Liverpool could be forgiven for already thinking about who they will draw in the next round of this competition. Five-nil up to a side who were blown away inside the Estádio do Dragão when the teams last met, the Reds will have to suffer a monumental collapse to not be in the pot when the draw for the quarter-final stage takes place. Jürgen Klopp’s side have only been beaten once at Anfield all season, an FA Cup 4th Round exit at the hands of West Brom their only discrepancy inside their famous home. 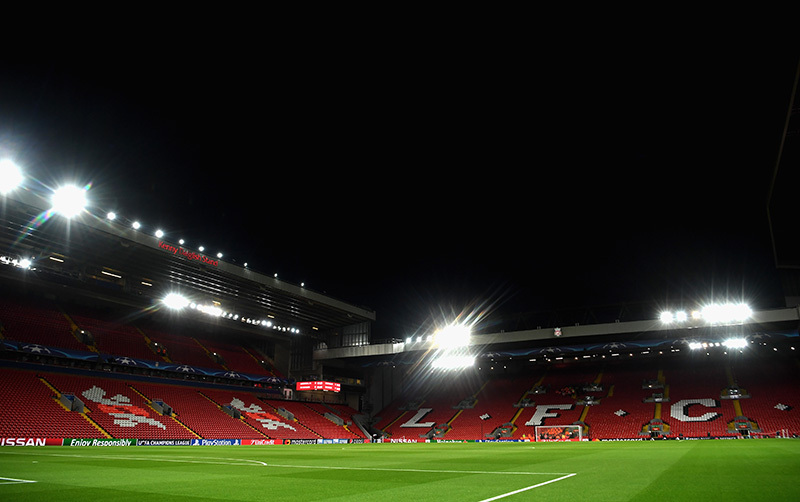 Many questions have been asked of their defence of late, but their Champions League record only shows two-goal conceded at home – whilst at the other end Liverpool have been prolific. Their strike force – touted as the best in Europe currently – have amassed an abundance of goals, 28 in this season’s competition for a side currently in red-hot form. In short, Porto need a miracle. An uncharacteristic collapse at home has all but ended their Champions League campaign for this season. Needing five goals – as a minimum – to force the tie into extra time, it is doubtful that even the return of Vincent Aboubakar can answer their prayers. The Azuis e brancos are unbeaten since their hiding at the hands of Liverpool. Porto’s response to that five-nil hammering in leg one was to inflict their own pain onto the hands of Rio Ave during their next Liga NOS fixture – however, Liverpool are no Rio Ave.
Sérgio Conceição will hope his side can summon their domestic form of late to try and salvage some pride at Anfield. Since February’s loss, the side from the northwest of Portugal have hit the net 15 times in four games, only conceding on three occasions. History, however – is not on their side. The Dragons have lost their last five away games against Premier League sides, most recently going down 1-0 at Leicester City in last season’s group stage, they also failed to score in any of those games, conceding 13 goals. The Egyptian arrived at Anfield in the summer from AS Roma, for £37m – this figure now looks to be the bargain of the season. No-one could have predicted the impact the 25-year-old has had. Salah became the first player in England this season to reach 30 goals, he’s also broken the record for the most left-footed goals scored in a Premier League season (20) – that landmark was reached in February. The forward was also on target as Liverpool beat Newcastle 2:0 at Anfield on Saturday. 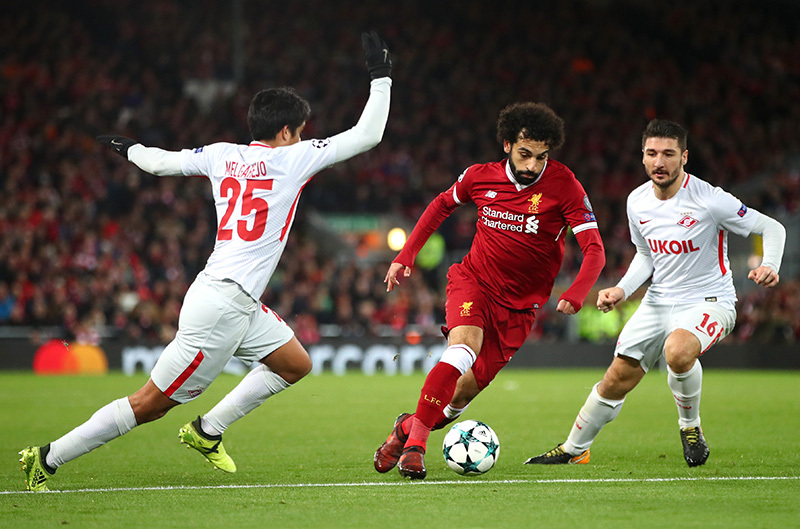 Salah’s goal in that fixture took the Egypt international to 32 goals in all competitions for the Reds. 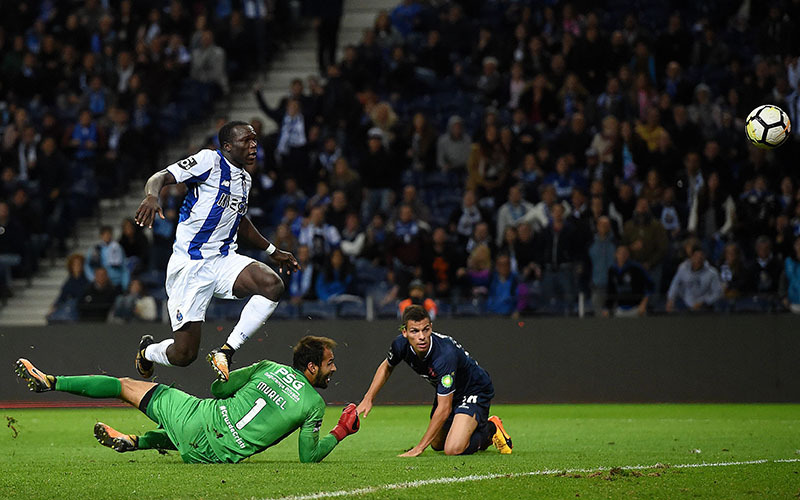 Porto have been ravaged by injuries of late and one of their casualties has been their top scorer, Aboubakar. Scoring 26 goals in 35 games, Porto will hope the return of their star forward can go some way to repairing the damage sustained in leg one of this Round of 16 tie. Strong in the air, he will be a thorn in the side to a Liverpool defence often susceptible from set-pieces. However, in Virgil Van Dijk he will have an opponent to test his ability. Liverpool should also be wary of allowing the Cameroon international space outside the box – given the chance he can also find the net from distance. Liverpool FC are all but through to a first UEFA Champions League quarter-final since 2009 after a five-nil victory in Porto.